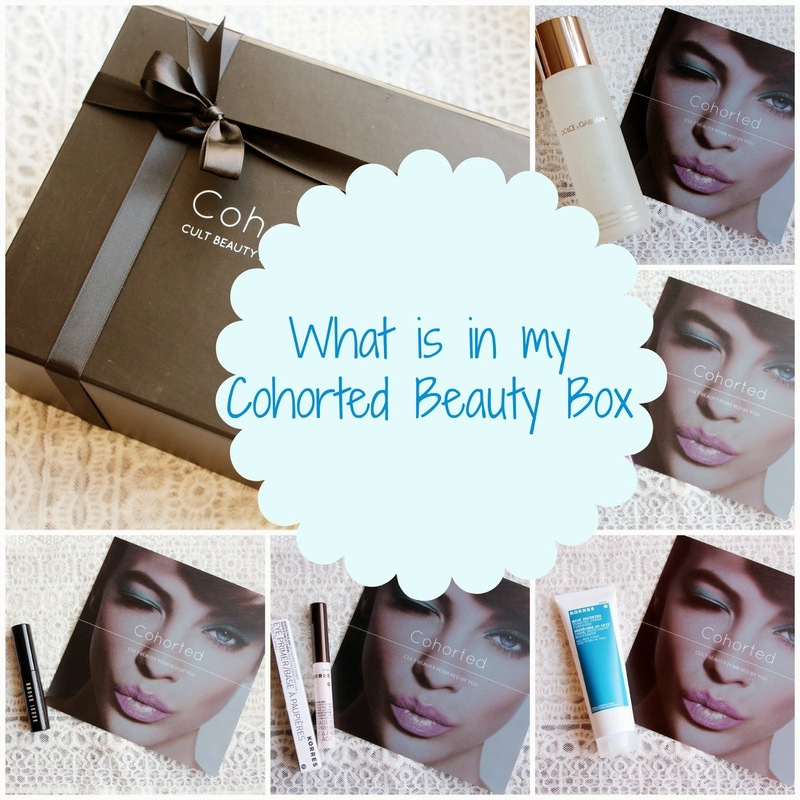 As promised, I am sharing with you today what I got in my Cohorted beauty box. If you don’t know Cohorted, you should definitely check their new website that, by the way, looks amazing! I was so looking forward to receive this in the post that you can’t even imagine. When you read amazing reviews from bloggers that had a sneak peak this is what happens. So I got this in the post a couple of days ago and I haven’t tried any of the products so, I must warn you that this is not a product review. But there will be one soon. I am just going to share with you my expectations and, then, my huge surprise when I saw what I received. As you may know, this box was £19.99 when all the products that come with it are worth the amazing amout of £67.50. Yes, I wasn’t sure if this was 100% true too. I was thinking that all I was going to get were samples because for £19.99 we shouldn’t expect much or else we would easily be disappointed. But this didn’t happen here. 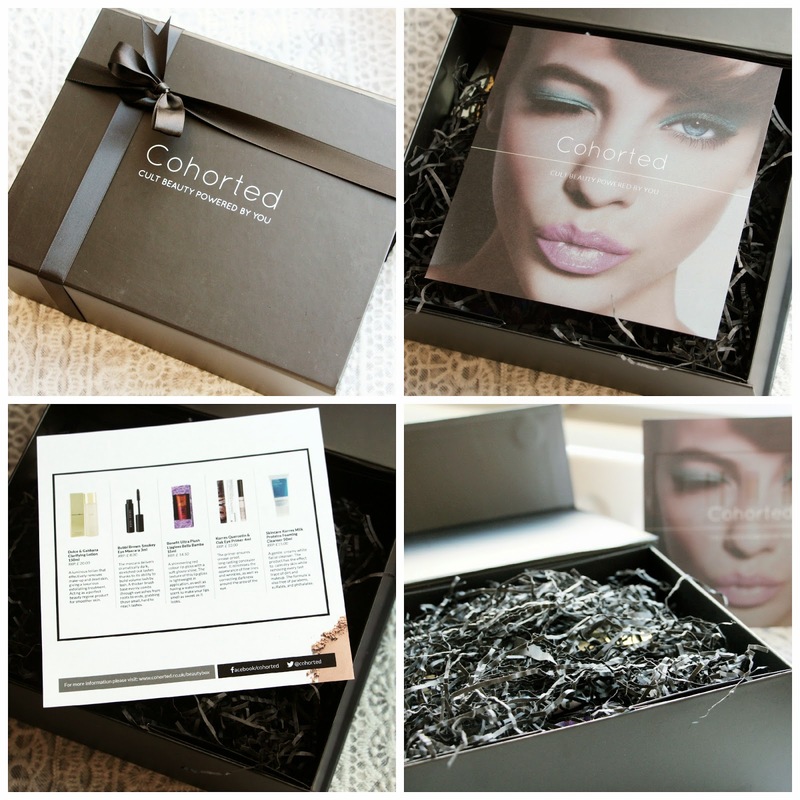 Cohorted joined 5 amazing beauty products in this cute little box and I am going to share with you now what they are. So I got this little cute black box in the post and when I opened it this was what I saw. A little card with the products that I got in the back. That card shows the original price of the products and a little description. I only had a look at the card in the end because I was really enjoying the surprise effect. You should do that too! Everyone loves a Benefit product, right? And I am not any different. I was so excited when I saw this one even though I am not a fan of lipgloss. But I do have so matte, dry lipsticks that would go really well with this on top, I think. I will tell you more in a few days/weeks. I was really in need for a cleanser. I use the one from Simple but honestly I think my skin just got used to it and when I use it my skin gets a bit dry. So, I am again looking forward to try this one. Beautiful packaging. Decent amount of product. When I saw this I wasn’t to sure about it. I don’t know the brand and I just opened the primer and it seems like a very thick consistency. But, I need to try it to see. Hopefully it will be amazing. Do you know this product? What do you think about it? “The primer ensures crease-proof, onf-lasting concealer wear. It minimises the appearance of fine lines and wrinkles as well as correcting darkness around the area of the eye. Oh, I was so excited when I saw this product but, at the same time, sad that it was so small. I love Bobbi Brown and I need to try this mascara as soon as possible! So, what do you guys think about all of this? I didn’t regret not even a little bit about spending only £19.99 in this beauty box and getting all of these products. I will definitely buy another one in a very near future. Let me know if you have any of these products and what do you think about them. Also, what product would you to read a review first? Previous Post Why do you blog?